Workers Party leaflet: Aotearoa Not For Sale – to local or foreign capitalists! 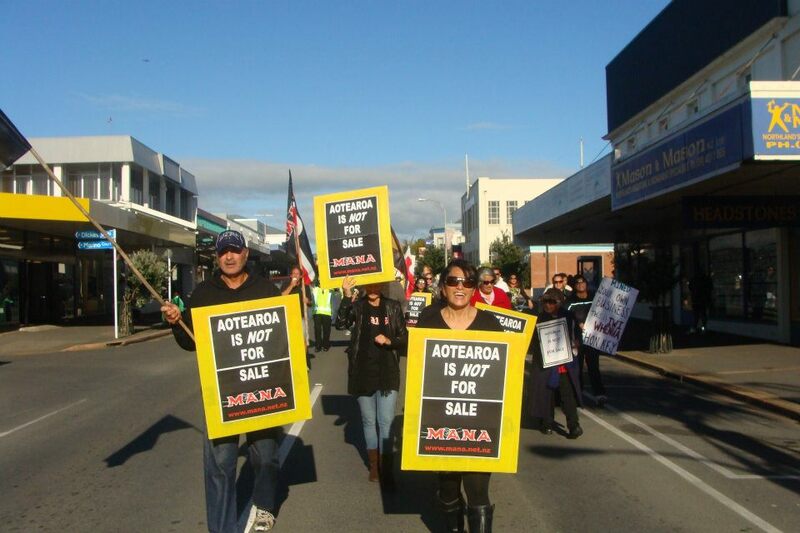 Workers Party members are actively supporting the “Aotearoa is not for sale” hīkoi. Indeed, we believe we need to go further than just keeping assets in public hands, we want to push forward for workers’ and users’ control of those assets. Whilst a number of political parties have pledged their support for the campaign, we must be on guard that the campaign does not become side tracked by an excessively Parliamentary focus. The ongoing struggle of the Auckland wharfies against casualisation (the first step towards privatisation) shows the most effective way to oppose the government’s asset sales plan. The last thing capitalist investors want to deal with is a bolshy workforce. The campaign by Glen Innes residents against state housing sell-offs is another inspiring example. We must also guard against the strong element of xenophobia around “foreign ownership”, particularly against Chinese ownership of NZ assets. We in the Workers Party are socialists and internationalists, and regard the arguments about “foreign ownership” as a dangerous distraction that threatens to undermine our struggle against privatisation. The problem is private capitalist ownership of public utilities, whether those capitalists are New Zealanders or “foreigners”. Furthermore, there is a particularly nasty history of anti-Chinese racism in New Zealand, which dates to the development of immigration controls in this country. Immigration controls originated from a “White New Zealand Policy” that was initially concerned with keeping out Chinese people. We support the actions of Ngāti Rereahu who occupied one of the Crafar farms in February, demanding the return of their ancestral whenua. But we would have supported the action regardless whether the land was in NZ private, “foreign” or Crown ownership.